The Five Elements are Wood, Fire, Earth, Metal, and Water. They are the basis of a philosophy and wisdom going back to ancient China. Each of the five elements is also associated with an organ system in the human body. You will learn how each energy system is related to the other. 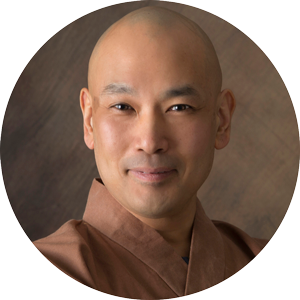 Led by Master Chunyi Lin and designed for your personal healing and optimal wellness. "This is a meditation of metamorphosis and transformation. 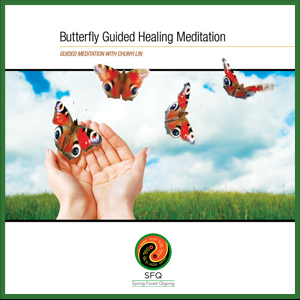 That is why I call it the Butterfly Guided Healing Meditation. Think of the life cycle of a butterfly. From a caterpillar into a chrysalis... and from that hard, leather-like pouch it transforms into such a beautiful and gentle creature that brings joy and happiness wherever it flies. "Everything in the universe is a form of energy. Every cell in your body is a form of energy. Energy cannot be created or destroyed, but energy can be transformed. "The butterfly is such a perfect and beautiful example of energy transformation. So it can be with the energy blockages in your body - any pain or sickness, injury or illness, any worries or fears." We have 12 major channels in our physical body, which connect to our internal organs. Of these 12 channels, six start or end in the hands, and the other six start or end in the feet. These energy channels work together as a team. In addition to these 12 major channels, the body has two more very important channels: the front and back energy channels, which govern all these 12 channels. If there is a blockage in any energy channel, this blockage can grow bigger and eventually make the body sick. It can also cause energy blockages in another part of the body, too. But certain movements of your physical body can help remove these blockages. The physical body has intelligence for healing itself because it was designed that way. The Five Element Healing Movements can activate this intelligence. We already have it. Our body already knows how to heal itself. Why Do We Get Sick? Is Self-Healing Possible? Qigong is a study of energy. Since everything in the universe is a form of energy, Qigong is a study of the whole universe. Qigong has been practiced in China for thousands of years and there are thousands of different styles of Qigong that are taught and practiced for a variety of purposes. 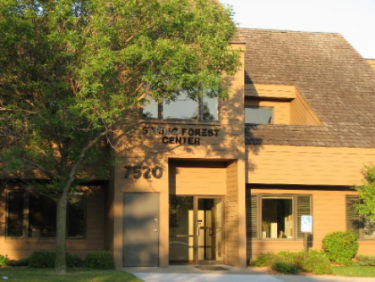 Spring Forest Qigong focuses on the use of Qigong for self-healing and healing others. “Qi” (pronounced chee) means energy, air or breath, vitality, or the universal force of life. “Gong” means to work, use, practice, transform, cultivate or refine. Put simply, Qigong means using this vital life energy to create a healthy mind and body. Through Qigong we can heal not only physically, but also emotionally, mentally, and spiritually as well. There are many ways the body's energy channels can get out of balance, including unhealthy foods, poor environmental conditions one lives in, accidents, etc. But one of the main reasons the body's energy channels get out of balance is unbalanced emotions. The ancient wisdom of the Five Elements theory teaches us that anger causes damage to the liver energy system, hatred damages the heart energy system, anxiety damages the spleen/stomach energy system, sadness damages the lung energy system, and fear damages the kidney energy system. The Five Elements theory also helps us understand how to open these blockages and return the body to balance and harmony. Positive emotions can help to heal the body. It teaches us that happiness can heal the liver energy system, joy can heal the heart energy system, peace can heal the spleen/stomach energy system, contentment can heal the lung energy system, and thankfulness can heal the kidney energy system. What Are the Five Element Healing Movements? In order to keep the body healthy and functioning at its best, we need to keep the physical body and the heart energy in balance. Through thousands of years of observations, our ancestors discovered a powerful way to understand the connection between our physical body and the heart energy. This is called the Five Elements theory. The Five Elements theory is a cornerstone of Chinese medicine. Understanding these elements helps us to understand the formation of the energy in the body and in the universe. There are emotions and organ systems that are associated with each of the elements. When you focus on the positive emotion for a specific element, you can literally transform the energy in that associated system – as you will see and practice in the Five Element Healing Movements. Each emotion has its special signature and special frequency, and each frequency matches a certain part of the system, powerfully impacting the organs in your body. This creates a beautiful, complete healing. Master Gadu Schmitz (Katsushi F. Schmitz) has been practicing Spring Forest Qigong since 2008, and was awarded Qigong Master in 2017 by Master Chunyi Lin. He resonates deeply with Master Lin’s motto: “Everyone is born a healer” and he brings Spring Forest Qigong to communities where empowerment is needed. He currently works at the Spring Forest Qigong Healing Center, where he was personally chosen by the creator and founder of Spring Forest Qigong, Grand Master Chunyi Lin, to be a staff healer. Master Gadu’s favorite thing about the healing process is to see the beautiful hope and confidence that his clients leave with after a session.